G Scale Society Mid Wales & Marches Group. A video of our December meeting at Castle Caerinion. 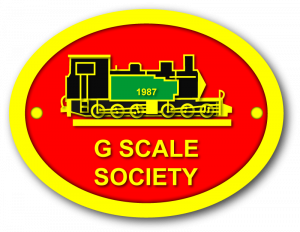 Welcome to the Mid Wales and Marches G Scale Society group site. We hope that you enjoy the information and pictures that are contained within. If you are inspired or even just interested feel free to email us to chat about the wonderful hobby we share—large scale model railways. The group covers the area roughly bordered by Llangollen, Brecon, Shrewsbury & Hereford. Winter meetings are held in Castle Caereinion, Powys where we have a running layout for track, battery and steam powered models. Summer meetings are held at group members railways across the area. All are welcome at the winter meetings at Castle Caereinion. A small entry charge to cover expenses is levied. Just drop in for a chat and a drink. © 2019. Mid Wales & Marches G Scale Society Group. All Rights Reserved.